Not all UV lED's are the same. 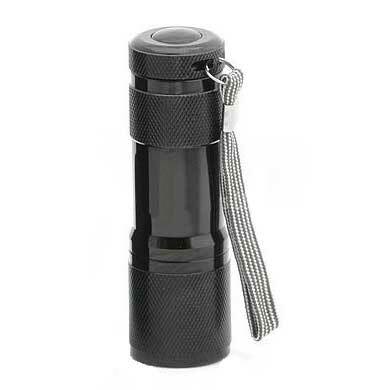 At 385 nM, this UV LED flashlight is the professional version of our 395 nM UV flashlights. UV reactive materials will frouress multiple times brighter under the 385 nM light compared to 395 nM light. 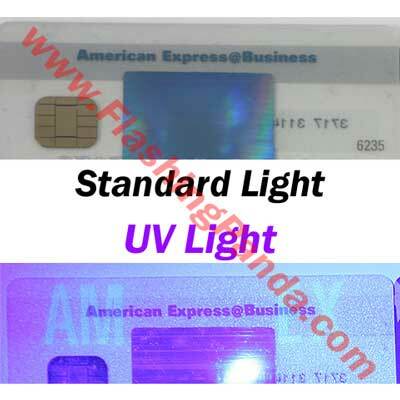 Commonly used for checking credit cards, currency, passports and ID, criminology, mineralogy, archeology, chemical probe testing, reading security inks, document checking, biology, medical applications, chemistry, checking antiques and glass, etc. As forgers and counterfeiters become more sophisticated, officials are finding new ways to create fraudulent-resistant documents. One of the most effective methods is to imprint hidden ink which is extremely difficult to reproduce and is only detectable by using ultraviolet light. Use this flashlight to check currency and identification. All states will soon incorporate such images in their driver's licenses. They are also used on credit cards, vehicle registration cards, currencies, checks, and other important documents. Ultraviolet light is also used by medical examiners and forensics to quickly detect the presence of proteins at crime scenes.